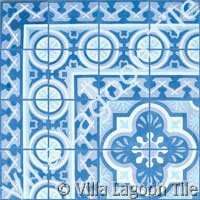 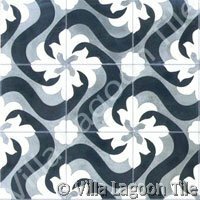 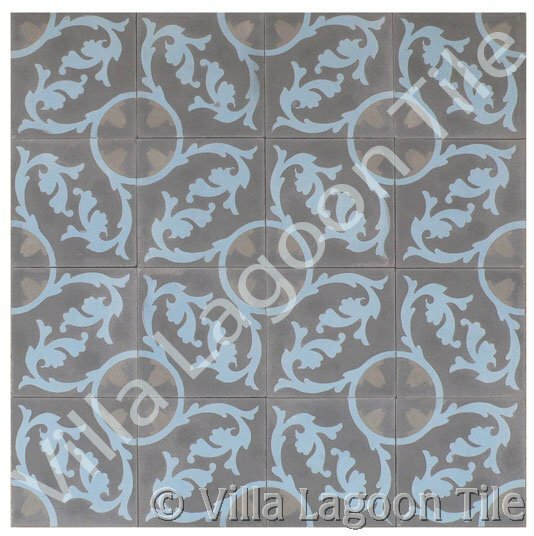 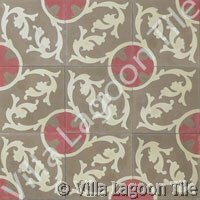 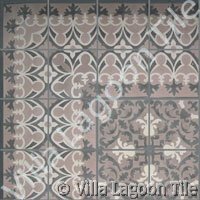 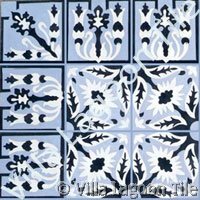 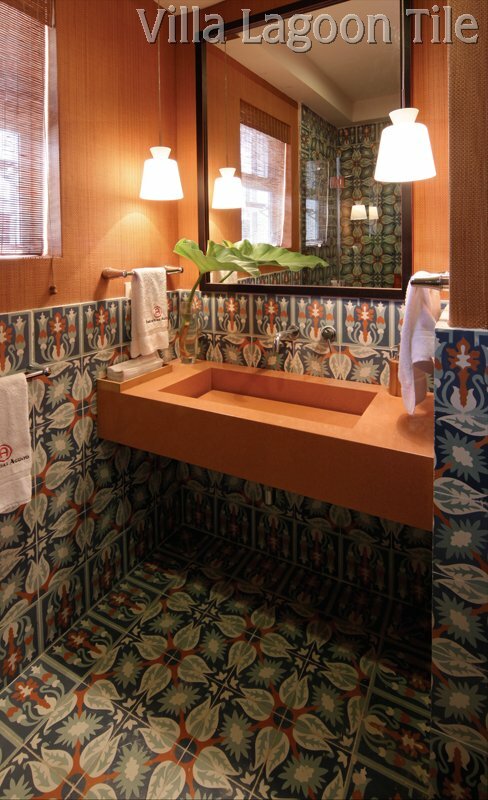 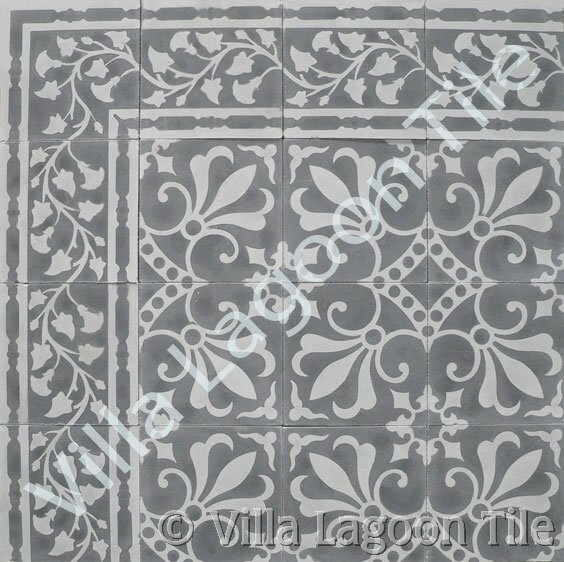 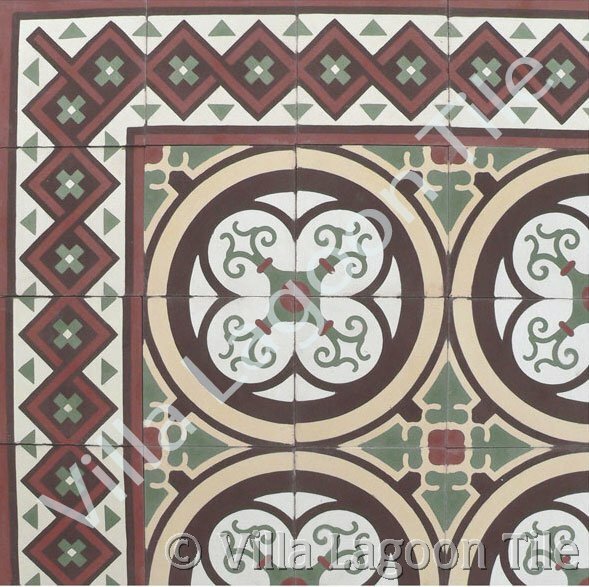 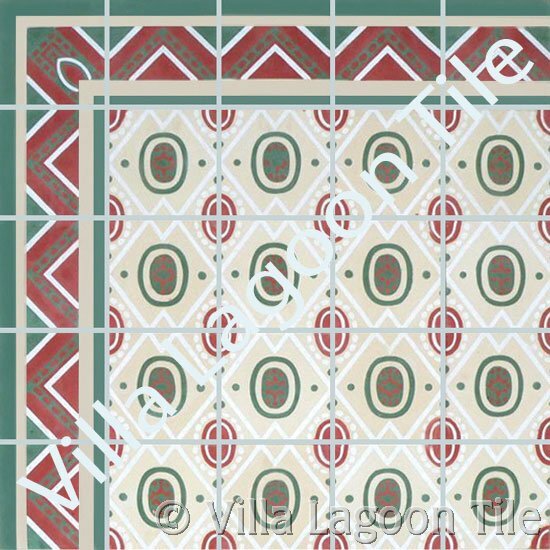 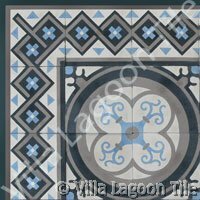 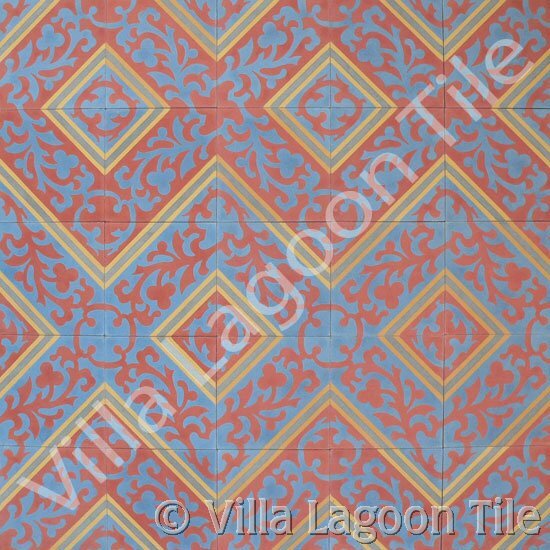 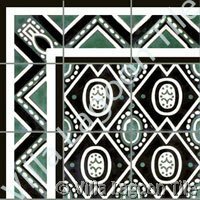 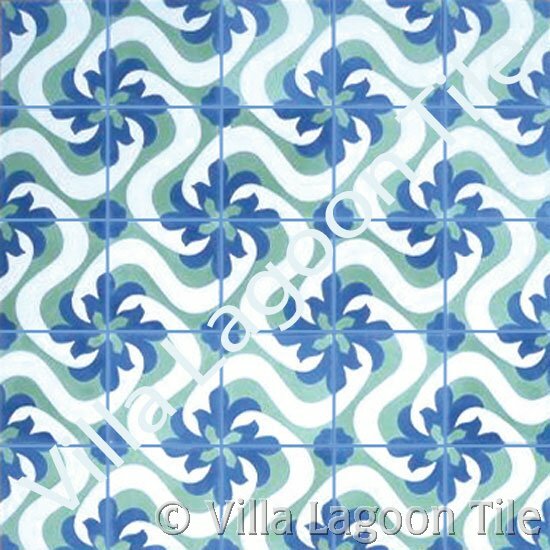 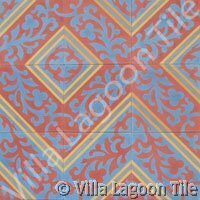 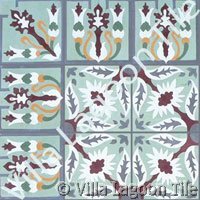 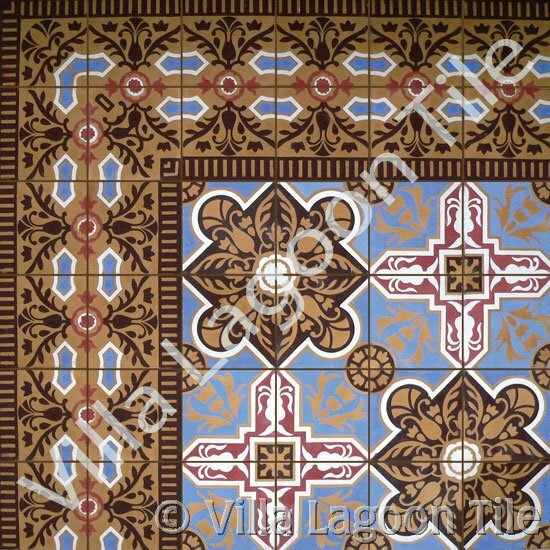 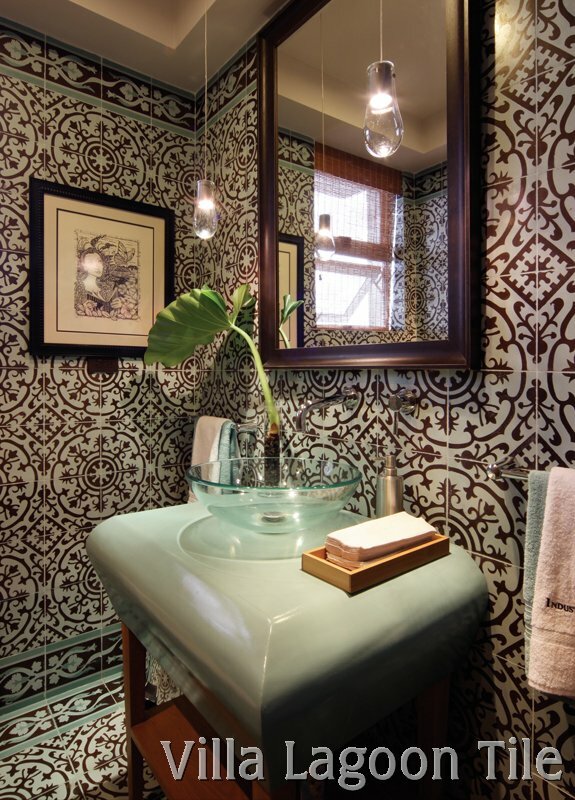 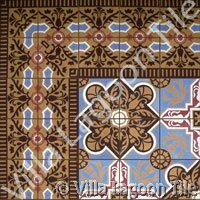 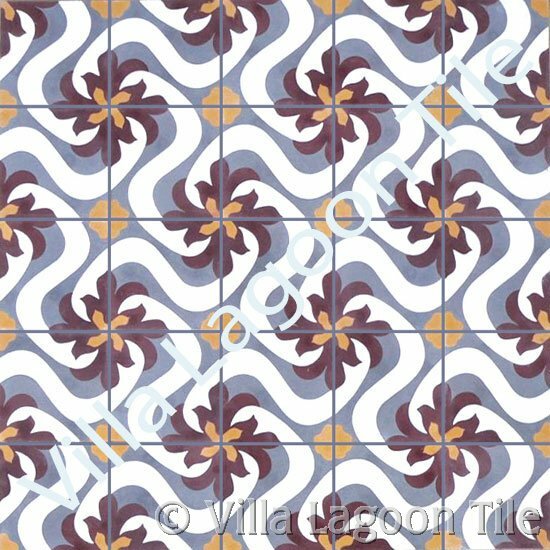 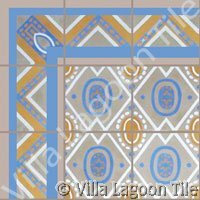 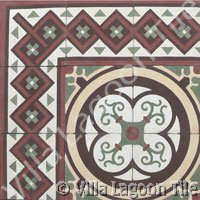 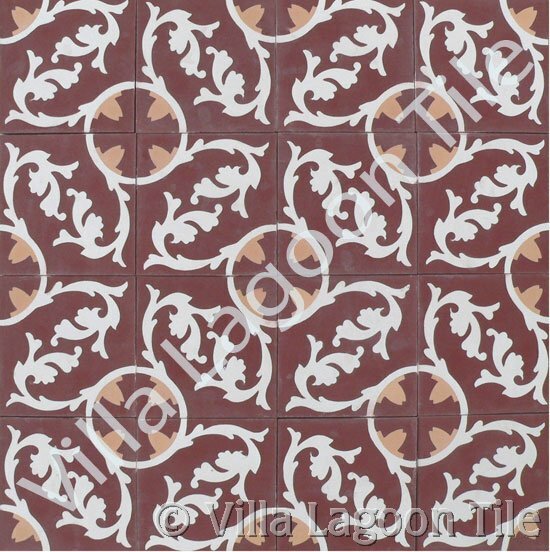 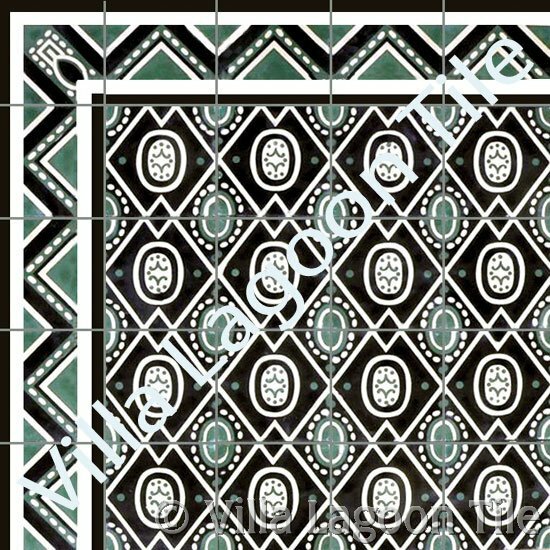 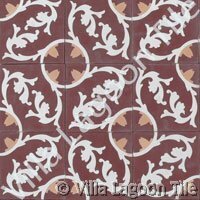 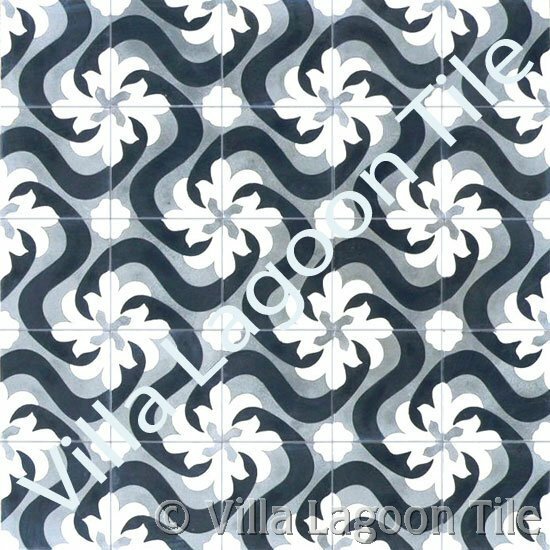 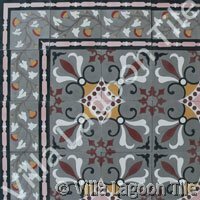 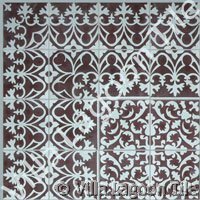 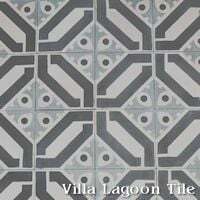 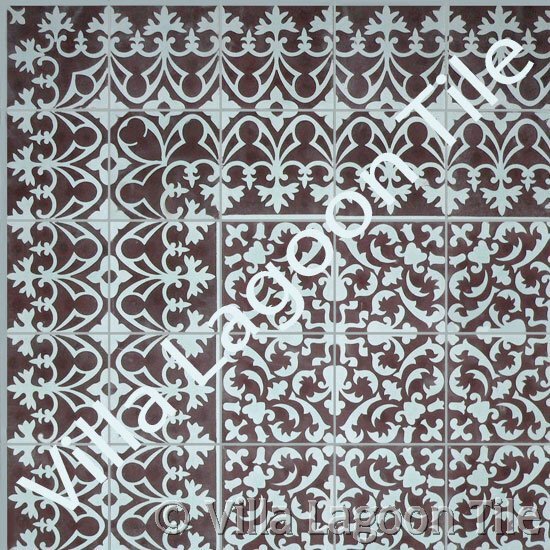 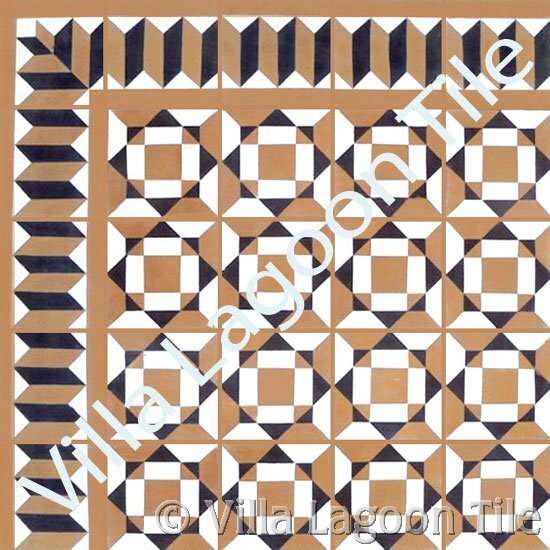 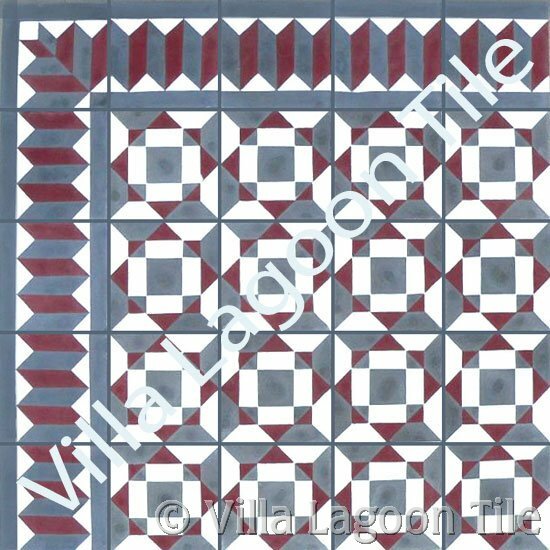 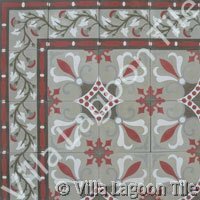 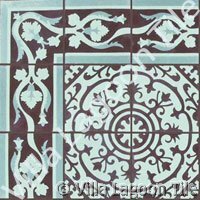 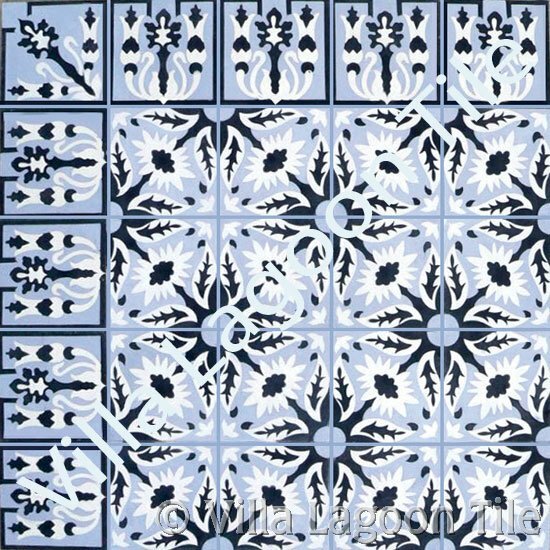 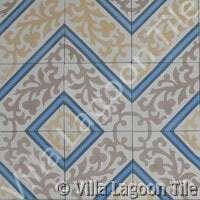 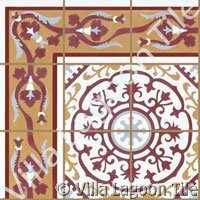 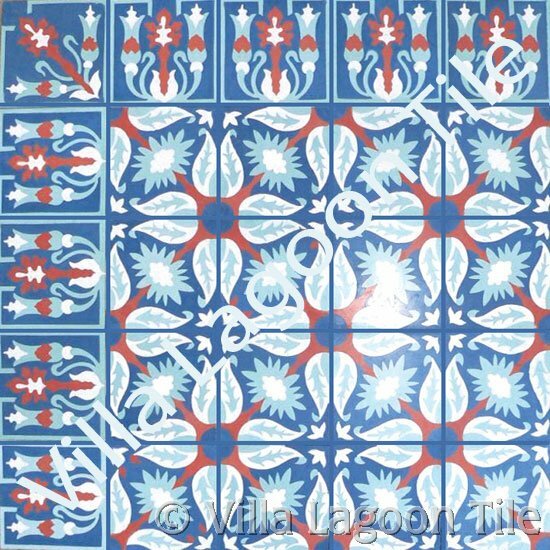 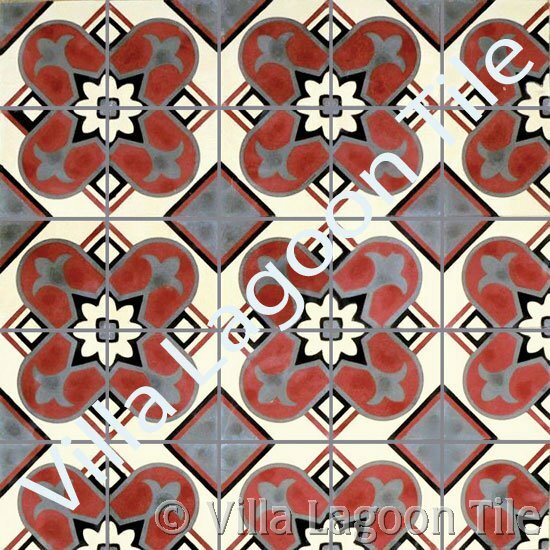 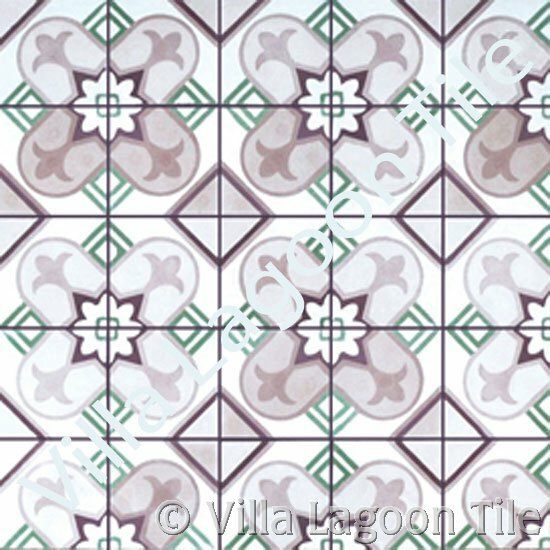 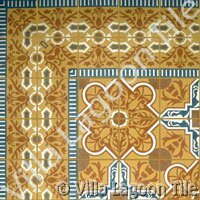 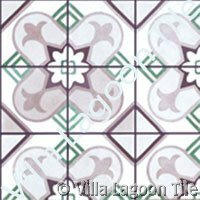 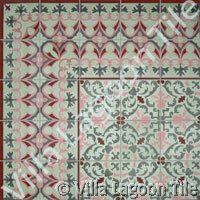 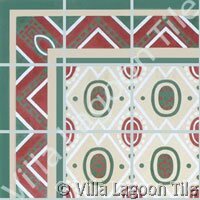 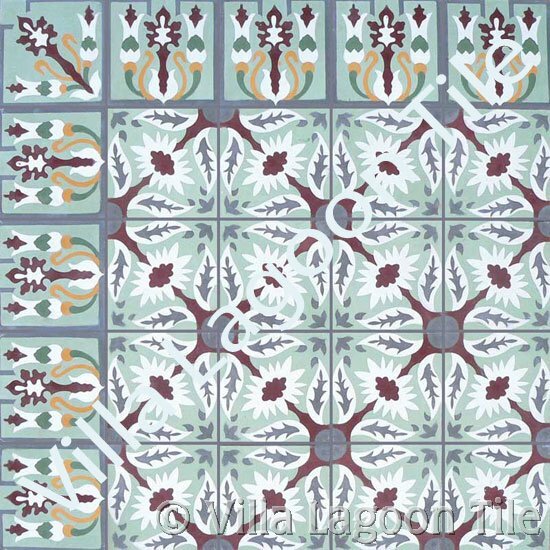 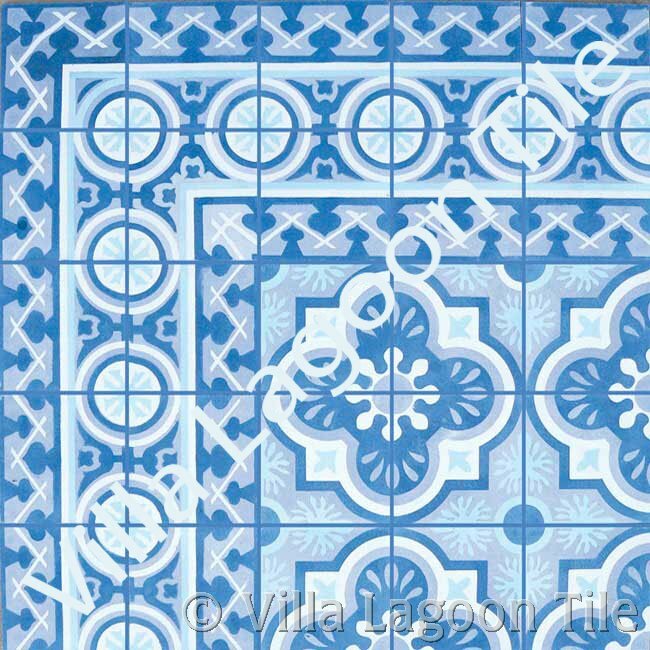 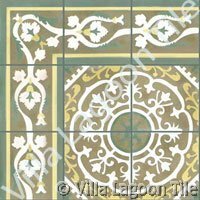 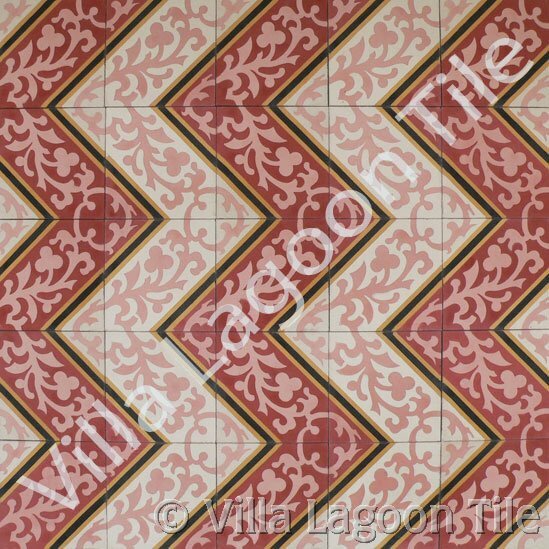 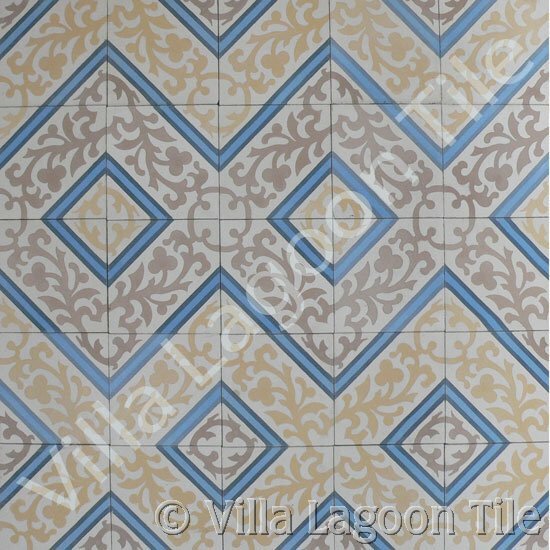 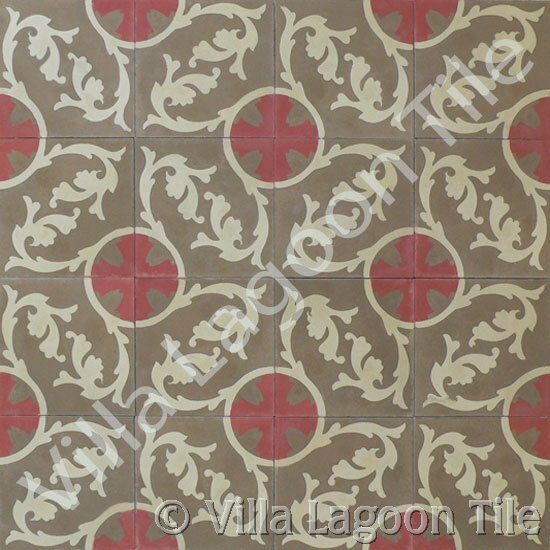 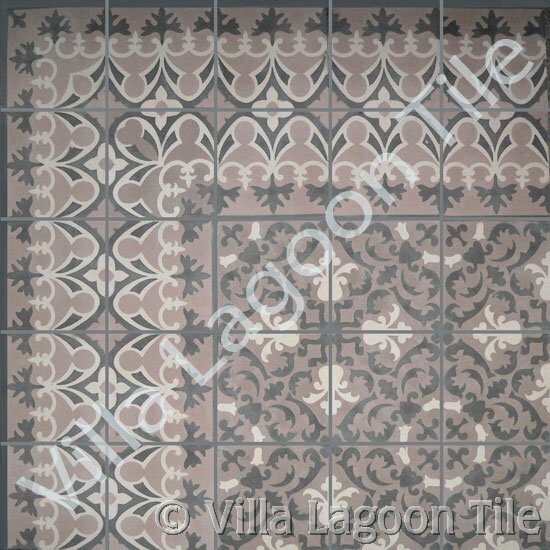 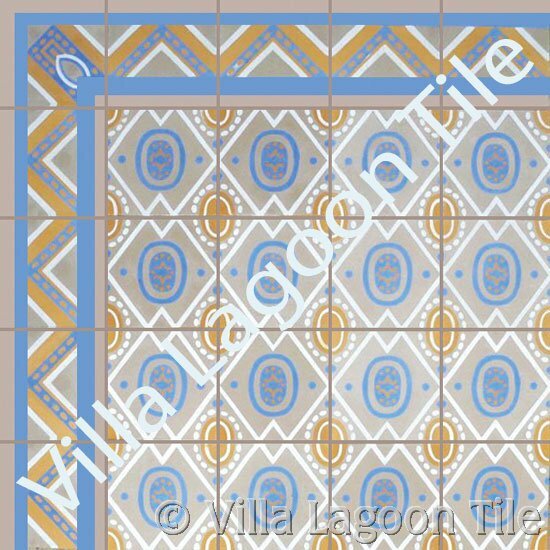 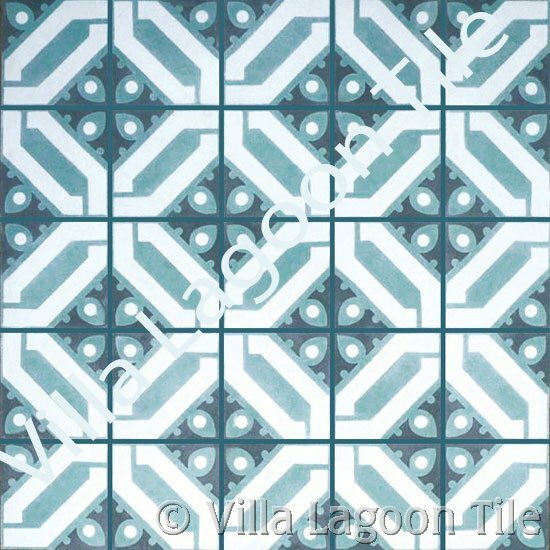 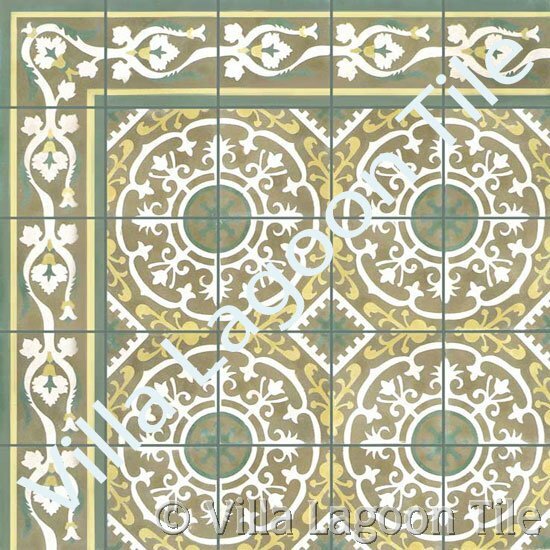 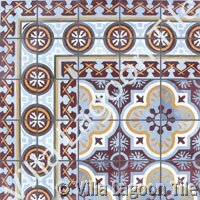 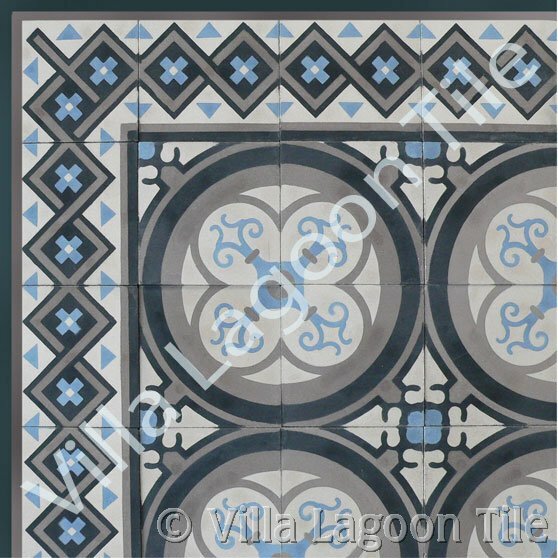 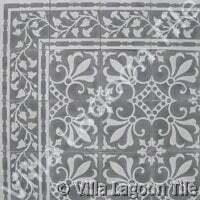 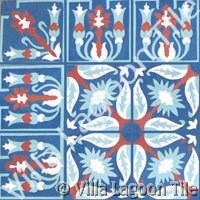 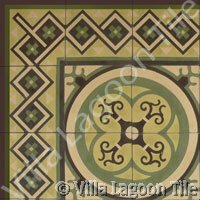 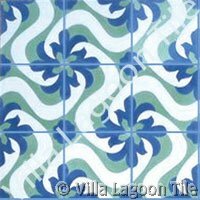 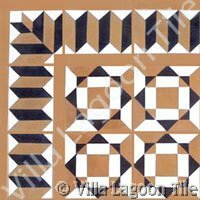 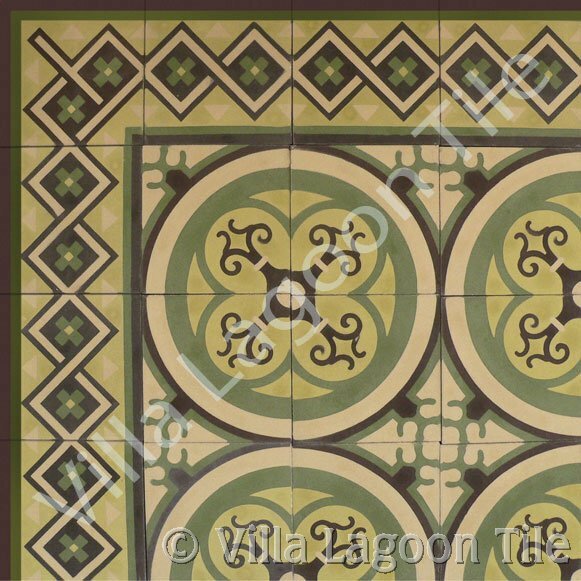 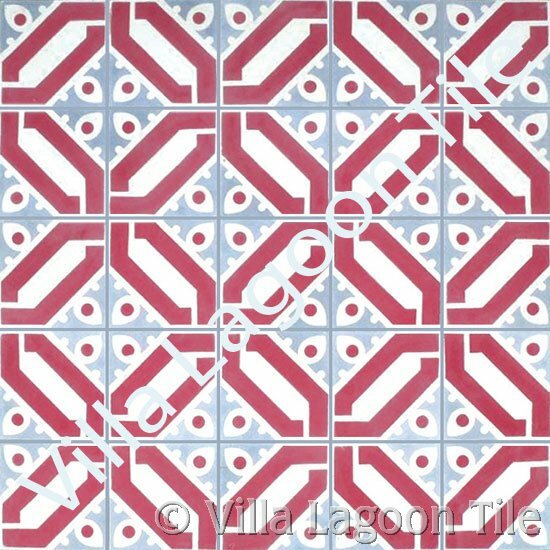 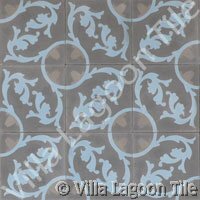 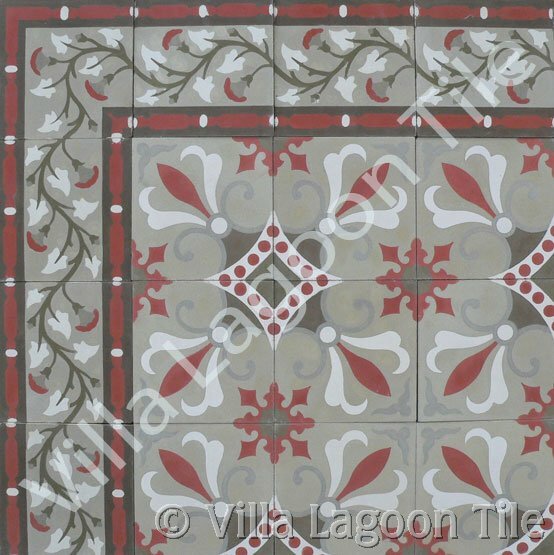 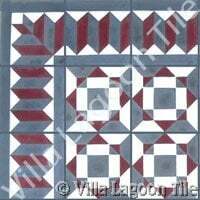 If your project called for the Cuban Heritage patterns or colors, please call us at 1-251-968-3375 or e-mail info@VillaLagoonTile.com to discuss your best alternatives. 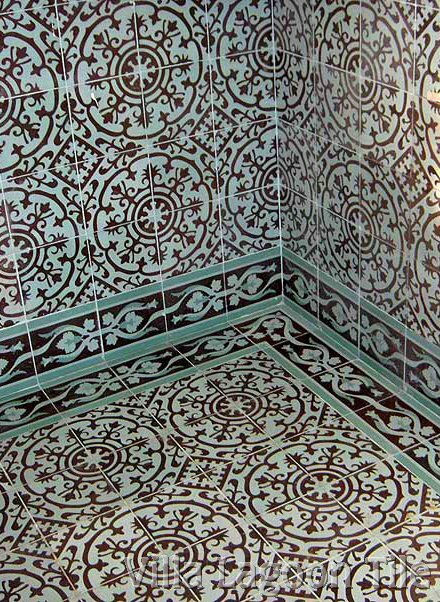 Click each image to see larger photograph. 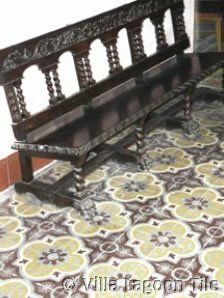 Click images above to see larger photograph. 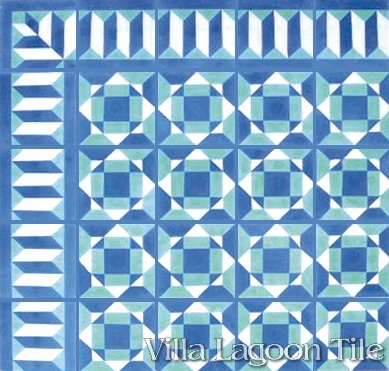 See color chart for each tile. 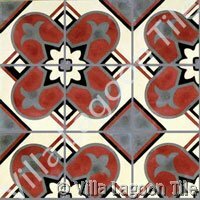 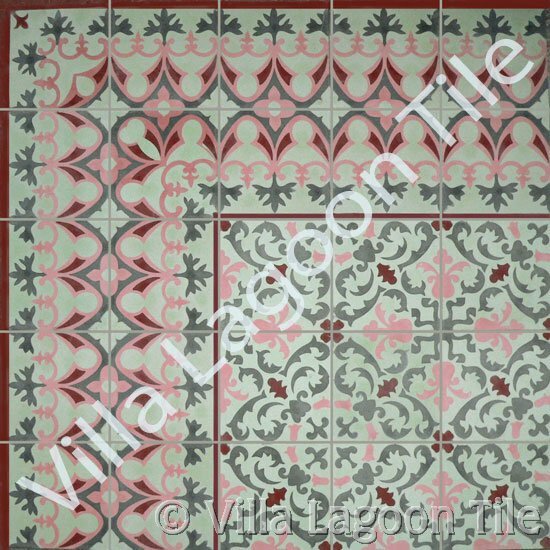 Call for more information us at 1-251-968-3375, or email info@VillaLagoonTile.com. 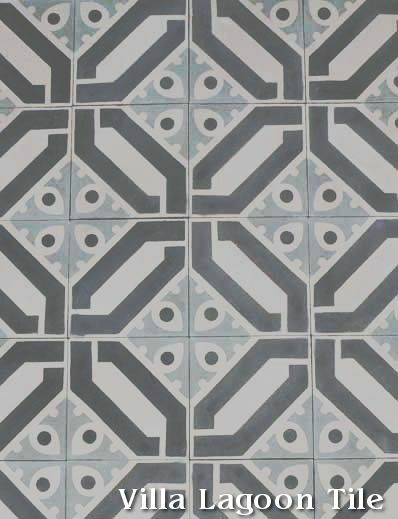 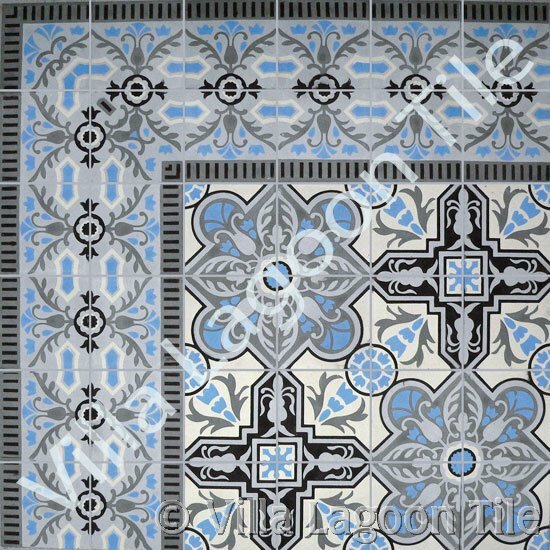 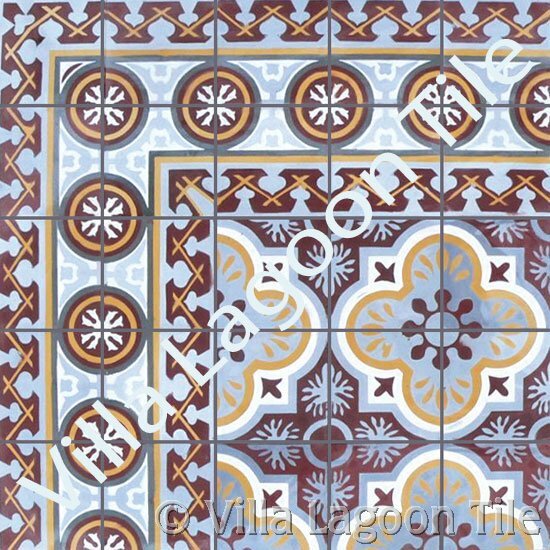 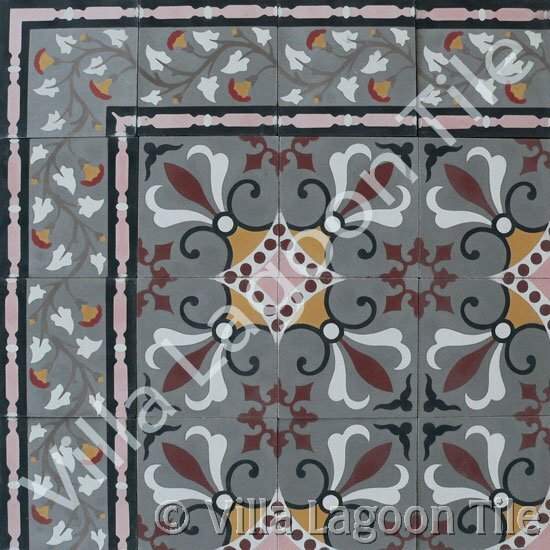 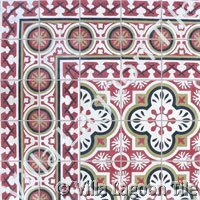 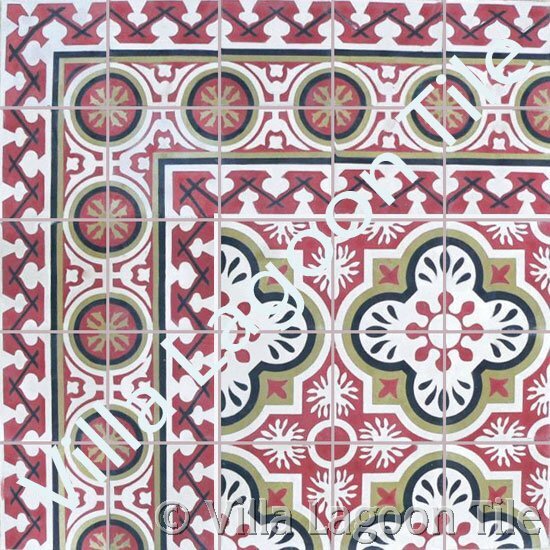 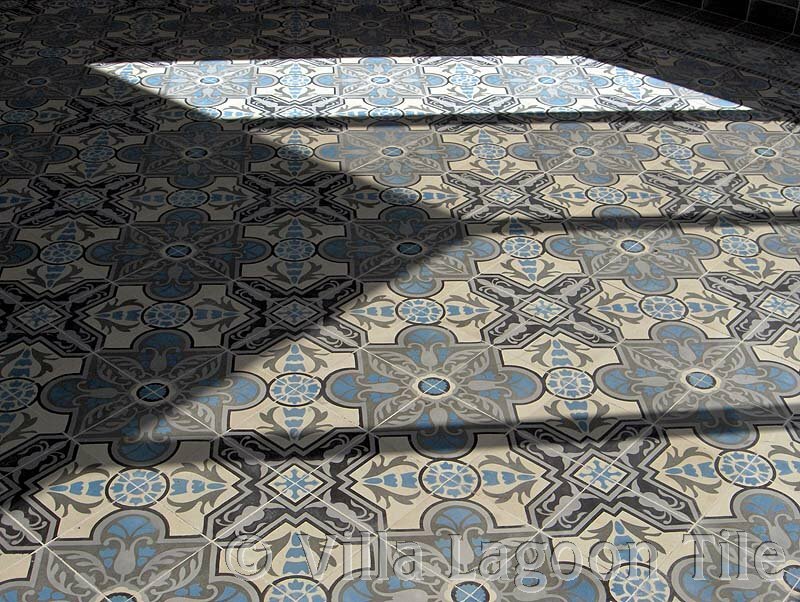 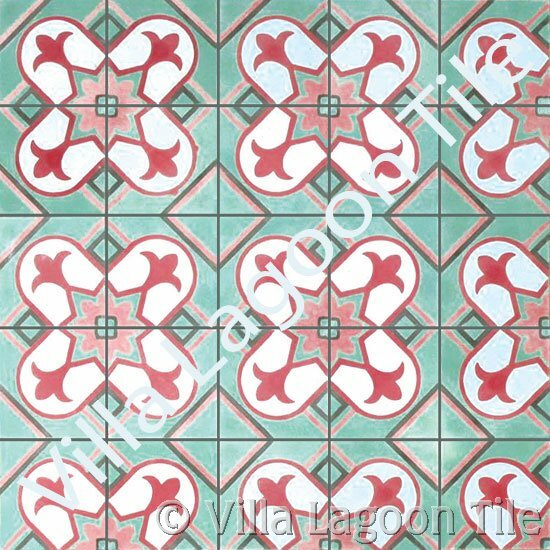 The Cuban Heritage Collection is a group of 8" x 8" cement floor tiles with designs recovered from antiquated houses and crumbling once regal buildings in Havana and Camaguey. 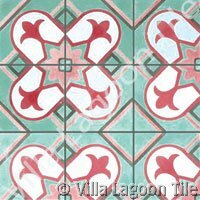 Many of the buildings that these tile are in are being destroyed or renovated and the fabulous tile will be lost. 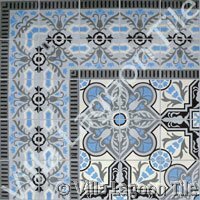 Each original pattern comes in 3 color colorways: one using the original, traditional colors found in Cuba and two more using more contemporary color schemes. 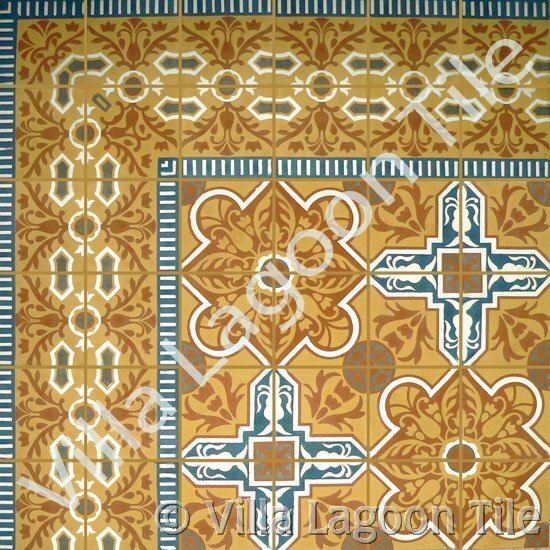 The Cuban Heritage Collection has elaborate patterns, strong colors, and prominent double borders. 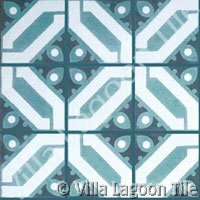 There are numerous ways you could combine the field and border tiles in your own home or commercial project. 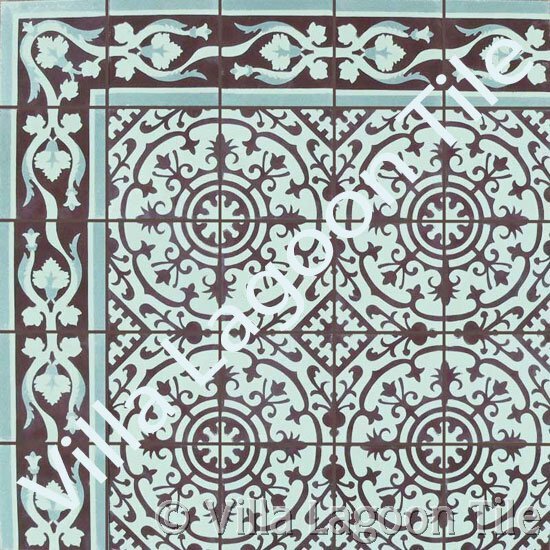 These tile have their own pricing system. 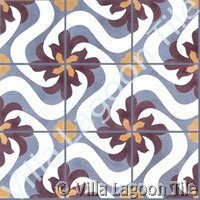 All tile designs end with A,B or C. This signifies the color group. 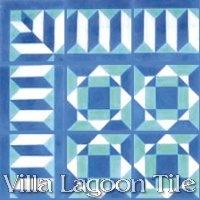 8" x 8" tile. 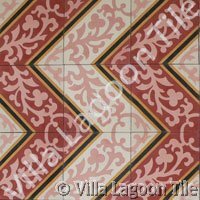 Color group is last letter of the tile's model number. 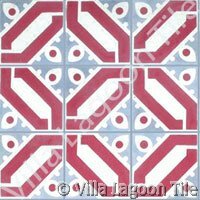 These tiles come with a soft polished finish. 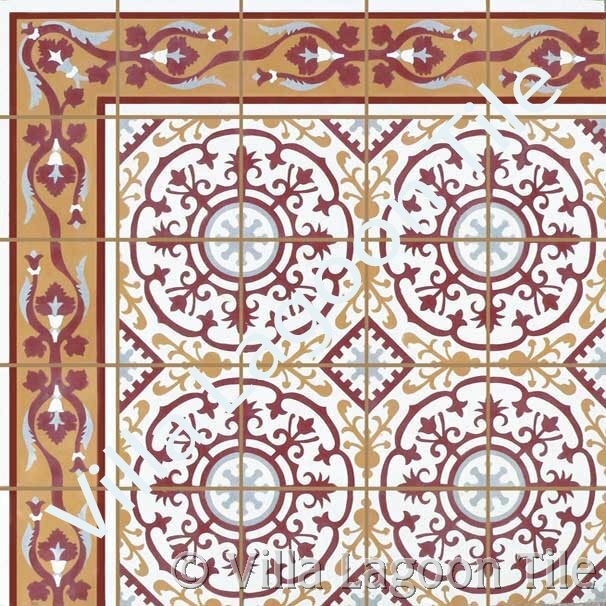 The Cuban Heritage Series used the Caribbean Palette (discontinued).